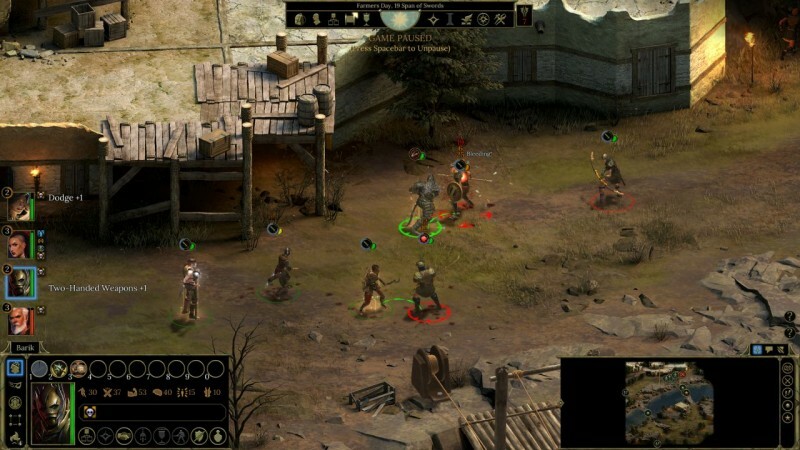 Obsidian’s latest role-playing epic is true to its name. Tyranny is concerned with the nature of power, and the ways in which the concentration of that power invariably leads to oppression. Obsidian pulls no punches in its depiction of a world overthrown by evil, and players shouldn’t have any illusions that the protagonist is somehow a remedy to this world’s dilemmas. This is a bleak and hopeless story, but one told with imagination, vibrant world-building, and dramatic choices that fundamentally alter the narrative as it unfolds. You are an enforcer and arbiter of the Overlord, whose armies seek to overwhelm and crush the last vestiges of resistance in a world that has already suffered hundreds of years of brutal rule. An opening campaign of harsh binary choices describes the first few years of the conquest, and it’s thrilling to see the ways seemingly minor choices in the introductory minutes dramatically shake up the rest of the story. For example, one soldier might recall the harsh judgment you refused her countrymen years earlier, and deny you crucial passage into a fort. Once you get into the meat of the tale, Tyranny is filled with fascinating characters shaped by the realities of their situation. In particular, the other leaders of the Overlord’s armies are brilliantly conceived – warped creatures of malice and cunning that act as great conversational foils to your ongoing adventure. Tyranny offers copious tracts of text that provide a breadth of options and outcomes, but the decisions eliminate stereotypically good or merciful selections. You are sometimes left only grim alternatives, such as murdering helpless prisoners in cold blood, or abandoning them to torture and degradation. The party members who join you are likewise reprehensible, valuing slaughter and control as virtues, or at best turning a blind eye to suffering. Engendering an affinity or affection for them when most are so unsympathetic is hard, and you get little in the way of meaningful relationship evolution over time. While the focus on malevolent characters and decisions is certainly novel within the genre, it can lead to an absence of investment in narrative outcomes. If I’m not given an option to choose a good path, is it really that impactful to adopt a darker persona? 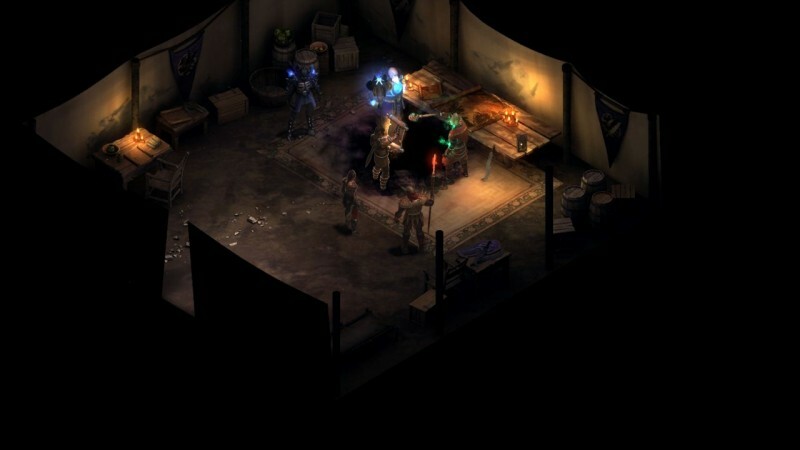 Obsidian’s love for the isometric RPG is once again apparent, and while the systems differ, players of last year’s Pillars of Eternity will feel right at home with the core mechanics. Excellent pause-and-play combat is tactical and challenging, and grows more so through the variety of consumables, spells, and combo abilities; only occasional A.I. and pathing issues marred my impression. 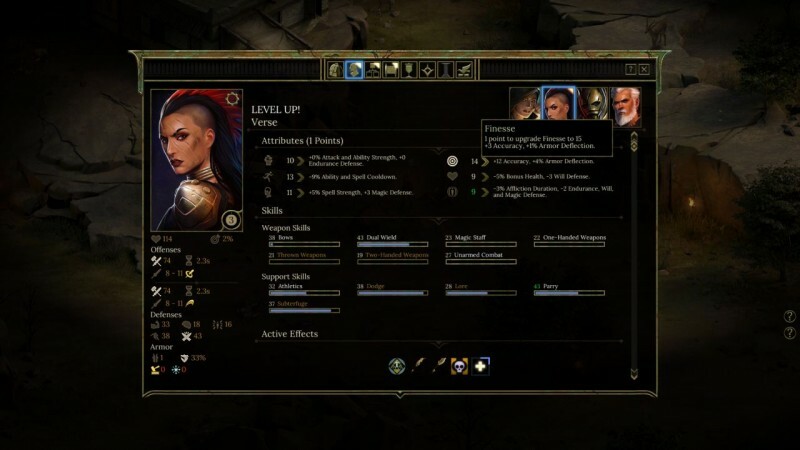 A highly flexible spell-crafting system is a particular highlight, and makes magic-focused characters more interesting than their martial counterparts. Character customization is deep and complex, with multiple possible roles available to any party member, made all the more nuanced once high-powered weapons and armor begin to introduce their own powers and abilities to their wielders. Tyranny’s setting sells the idea of a ruined land and battered populace. Each of several distinct areas bears the mark of the Overlord’s overwhelming magical might, often through catastrophic spells called edicts. Whether it’s a ceaseless storm that shatters a whole countryside, or a blistering volcano that consumes a rebellious enclave of scholars, each location feels distinct and memorable. You eventually control massive towers scattered amid the devastation, providing an intriguing twist on the idea of stronghold advancement. By mastering the magically connected Spires, players can build their own forge, infirmary, and more to help rally followers. I only wish the full spectrum of these stronghold options opened earlier in the game; just as I got a handle on my crafting abilities, the game was wrapping up. 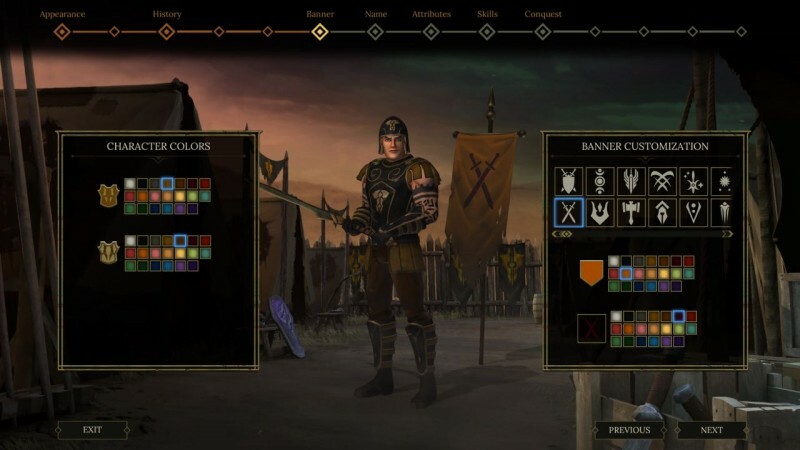 Even within the limited constraint of mostly dark outcomes, Tyranny has an impressive array of potentialities to explore, and practically demands multiple playthroughs. Entirely new storylines, allies, and even visited areas might appear in a subsequent adventure, and it’s exciting to confront a new mix of betrayals and dangers. 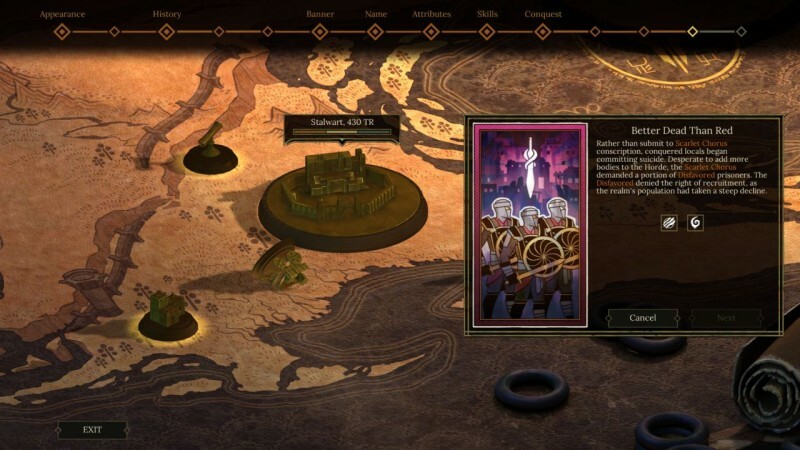 As evidenced by a gripping final act that cries out for a sequel, Tyranny puts enormous authority in the hands of its players to shape the destiny of an entire world, but also leaves those players with an unrepentantly sober warning about corruption and power. 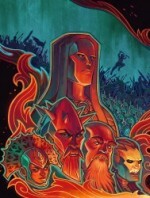 Obsidian confronts the nature of power and corruption in this grim but imaginative isometric RPG.